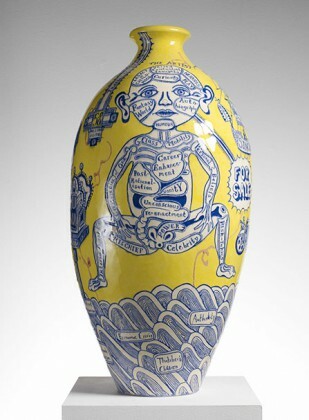 "Grayson Perry - My Pretty Little Art Carreer " at the Museum of Contemporary Art Australia, Sydney. Winner of the prestigious Turner Prize, Grayson Perry is one of the most renowned artists of British artists of his generation. Recognized for its ceramics, sculptures, paintings and tapestries, he is presenting his first major exhibition in the Southern Hemisphere. His decorated pots show a variety of images ranging from the highly personal to the political, taking up subjects both very personal (as his family), that the world of art, biblical stories, the British royal family or war pictures and fantasies. "A great European avant-garde" at the Museo Palazzo-Cipolloa, Rome. "Andy Warhol - Ai Weiwei" at the National Gallery of Victoria, Melbourne. "Georgia O'Keeffe and her photographers friends " at the Museum of Grenoble. "Les Magritte disparus" at musée-maison René Magritte, Brussels.